Andre Fleischmann writes in part 3 or 4: "Hello Mr. Sawyer, Every day I have a look on your wonderful website about the Blackmar Diemer. I learned a lot. 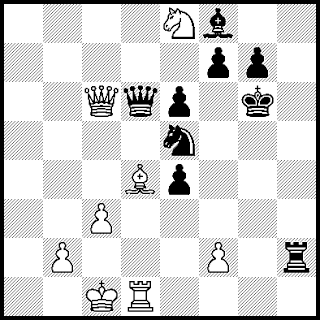 In the Teichmann, I tried a not accurate but interesting sacrifice with the bishop on h7. Greetings from Germany and a big Fan of our Gambit, Andre"
The most popular defense against the Blackmar-Diemer Gambit is to take two pawns for one with 1.d4 d5 2.e4 dxe4 3.Nc3 Nf6 4.f3 exf3 and to continue 5.Nxf3 Bg4 known as the Teichmann Variation. 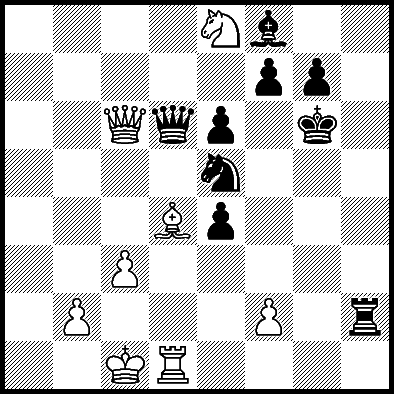 After the normal moves 6.h3 Bxf3 7.Qxf3 c6, Andre Fleischmann plays 8.g4!? which is an excellent aggressive approach. Against a Caro-Kann type defense, Andre gets too bold with 12.Bxh7+?! 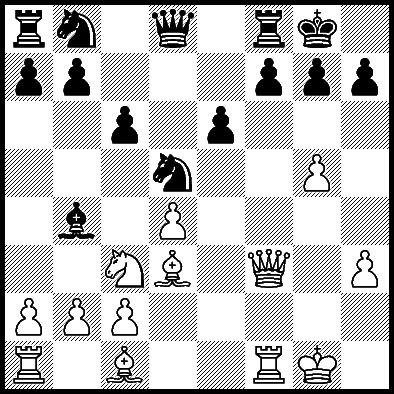 Fleischmann illustrates a valuable lesson: When your king is attacked, play carefully or you will lose quickly. Here Andre's opponent missed the correct defense and the White army came crashing through for a win. Andre Fleischmann wrote (edited by me): "Hello Mr. Sawyer, I send a few interesting games. Two are hübsch gambits against strong players. In one, I saw the small time of my opponent and moved only as quickly as possible for the win in the end. Greetings from Germany and a big Fan of our Gambit, Andre"
Andre Fleischmann wins BDG Huebsch Gambit while using the handle "ichsehnix" vs the higher rated "MihMih". This handle makes me think of women's fashion MiH Jeans. In his game notes to move 32 Andre wrote, "now, Black was down with a few seconds on the clock, so I moved only as quick as possible." White's fast play at the end of the game achieves a win on time. In quick games at fast speeds, victory does not always go to the best position on the board, but to the player who can best play very rapidly without getting checkmated.